Here's a house that needs to go on your vision board asap if you've been saving up to build a luxury home for yourself. Or, plain and simple, if you spend countless hours on Pinterest searching for and then drooling over luxury homes that you can never afford. One can hope, right? The palatial mansion we're looking at today is quite simply that—a palatial mansion. It has a total area of 450 sq m that includes six bedrooms, a dining room, a living area, three bathrooms, a TV room + bar, a patio and a terrace, not to mention a swimming pool and jacuzzi. Phew! Luxury works best when it's either deliberately OTT or when it is understated. Here, it's the latter—although certain elements immediately catch your eye, its beauty lies in its subtler details. Designed by Brazilian architects Espacio Cypriano Pinheira, this mansion of marble exudes luxury and elegance from every corner and crevice. Notice how the concrete pathway leading to the house seems to continue right up the facade? Two of the front-facing beams are also clad in concrete. This creates a wonderfully cohesive look that along with the geometric pattern-play makes the exterior visually arresting. Large windows ensure that the monotony of white and concrete is broken while perfectly complementing the well-lit entrance and garage. 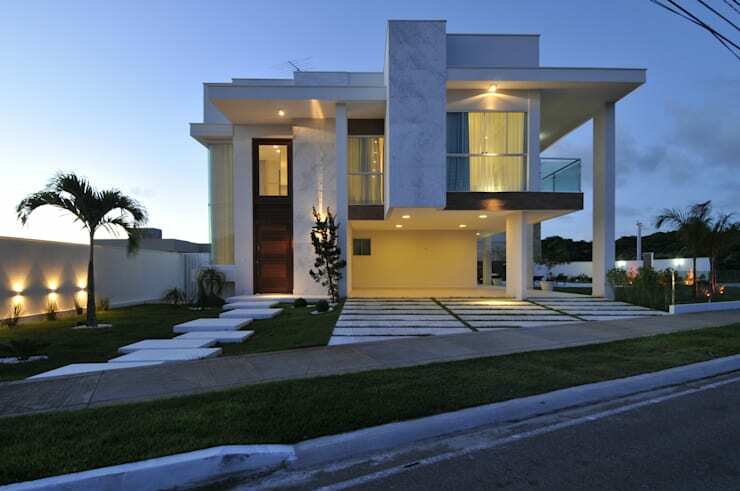 The elegantly paved lawn and strategically placed palm trees completes the aesthetics of this contemporary luxury home. In the living space, cream takes centre stage, accented by shots of black. 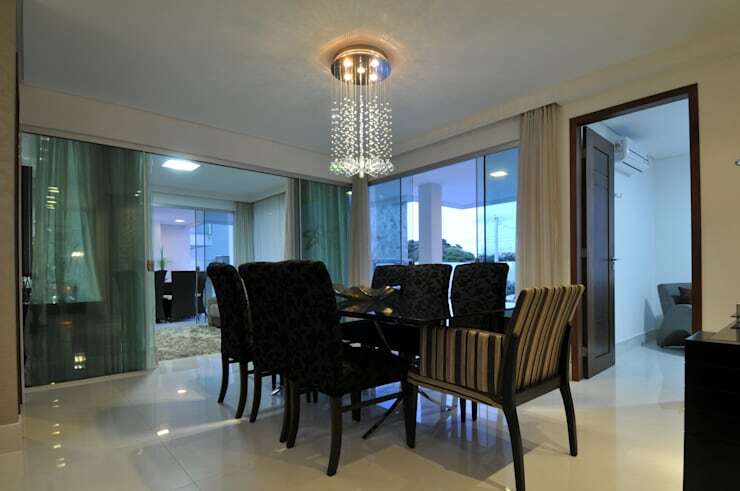 Interspersing the space with glass and glossy accessories make the room feel opulent and plush. Not that there's any need for the space to appear any larger than it actually is, but by making it an open-plan interior, it looks even airier with no constricting pillars or ceilings. The sofa has been placed in such a way that you have a direct line of communication with the second floor where another mini living area has been placed to the right of the landing pad. 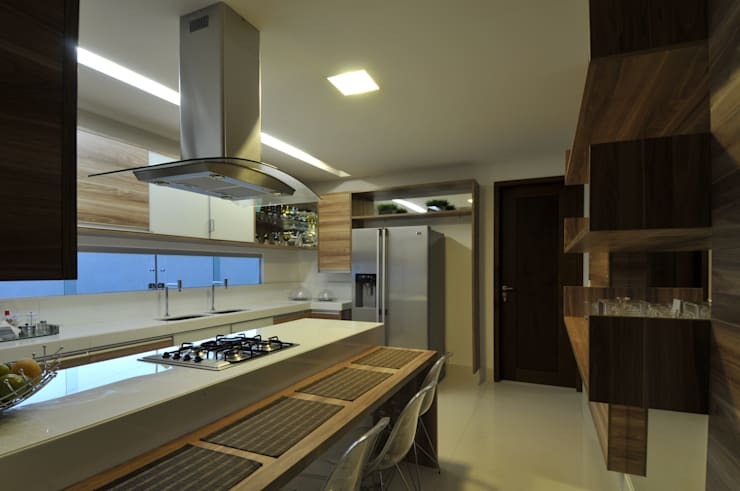 The kitchen too keeps to the theme of clean, straight lines and smart functionality. Except here, the white kitchen island and cream floor and ceilings are complemented all around by timber. Check out that cool breakfast table alongside the kitchen island; by incorporating it so, the space has been utilised to its maximum. To the left are wooden racks where glassware is put on full display making it the focal point of that side of the room. Although not an open kitchen, the area is so spacious that if one is cooking here, guests can hang around. In a house that is so opulent, you didn't expect the bathroom to not live up to it, did you? Clearly, no expense was spared to design this sanctuary of relaxation. 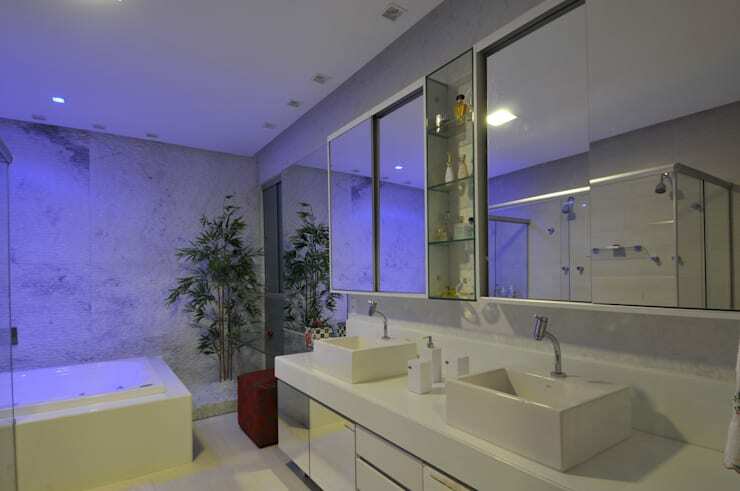 If there's one room where you can go a tad overboard with luxury, it's the bathroom. Keeping that in mind, there's a shower with advanced settings and if that wasn't enough, a jacuzzi for you know, when you want to chill. The architects have stuck to clean lines, minimal colours and consistent geometric patterns giving it both an imposing and sophisticated look. The shelving is built in under the sink space avoiding the chance of clutter and retaining only the necessities. Here's a tip: even if you thrift most of the stuff in your living or dining space, shelling out a pretty penny for a statement piece like a chandelier can make all the difference in the world. It can add that much-needed flair to a dull space. Not that anything in this room is from a thrift store, but you get the idea. The black glass dining table and the plush armchairs provide a welcome break from the predominantly cream space. The large windows to one side ensure that the space has enough natural light. 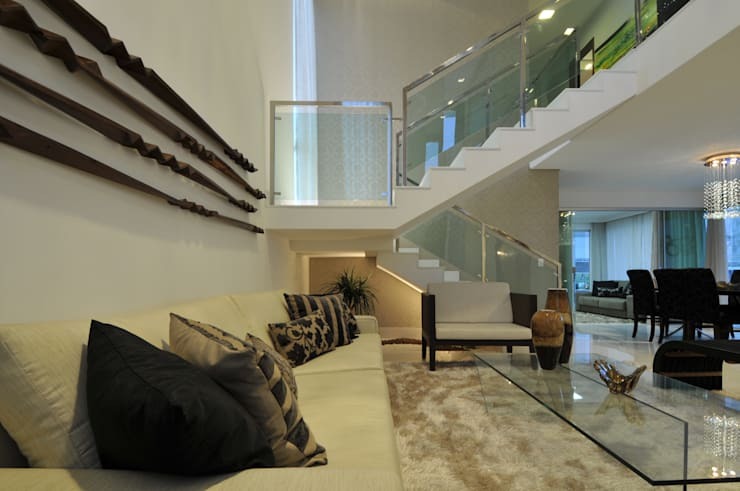 To get more inspiration from luxurious homes, be sure to check out A modern home of elegant luxury. What did you think of this contemporary family mansion? Let us know in the comments below!